Enhanced clarity, if you're blind to the price. Image: Oakley. California-based optics specialist Oakley has this week uncovered its 3D Gascan glasses, which utilise proprietary High Definition Optics-3D (HDO-3D) technology and arrive as the world’s first “optically correct” 3D specs. Designed to optimise the viewing systems currently installed in the majority of 3D-equipped cinemas around the world, the 3D Gascan glasses have been developed by Oakley with the support of various “industry partners” including leading movie studio Dreamworks. “No one has ever engineered optically correct 3D glasses,” outlined Oakley chief executive Colin Baden, who also said the 3D Gascan specs deliver unparalleled visual clarity, extend the user’s peripheral viewing angle, provide a truer alignment of 3D imagery, and set a new standard for 3D. According to Oakley, the 3D Gascans correct existing performance deficiencies in 3D glasses related to issues such as optical astigmatism, prismatic power and refractive power. Other advantages over regular (or disposable) 3D glasses include massively reduced “ghosting” or “crosstalk”, truer colours, improved fidelity, enhanced durability, and scratch-resistant lenses with cylindrical base curvature that virtually eliminate reflection and glare. Look and sound great, eh? And so they should considering that the standard 3D Gascan glasses cost $120 USD, while the Limited Edition ‘Tron’ version costs a whopping $150 USD. Calvin Klein has never been afraid of associating itself with a bit of cheap marketing, so it's no surprise that the fashion brand is now slapping its name atop some 3D-capable sunglasses. The patent-pending curved 3D glasses from Marchon3D have been adorned with the CK livery and, erm, we guess they're that little bit more stylish than the usual pair of 3D goggles you might have thrown your way at the cinema. Now you just have to decide where your loyalties lie, Calvin Klein, Gucci, or Oakley? Melville, NY(November 4, 2010) – ck Calvin Klein Eyewear has partnered with Marchon3D™ to infuse its patent-pending 3D lens technology into the designer eyewear sector. The patent-pending M3D lens technology is the only curved 3D lens on the market that is RealD certified. The curved lens, matching the contour of the eye, improves and maximizes a consumer's 3D viewing experience, allowing for a greater image immersion. The photocromic lens technology allows consumers to wear their glasses indoors and outdoors. "With Marchon3D's M3D technology and ck Calvin Klein Eyewear's sleek, fashion-forward design, we are providing consumers the best 3D-enabled sunglass on the market," said Claudio Gottardi, President of Marchon and CEO of Marchon International. "Having infused technology and fashion only raises the bar in the 3D eyewear field and Marchon is excited and proud to lead the industry." The ck Calvin Klein eyewear, part of the M3D collection, will be available December 2010 with the retail price of $180*. *ck3D sunglasses are not to be confused with other 3D products on the market, which are not 3D sunglasses. Marchon3D™was launched in July 2010, after Marchon Eyewear acquired patent pending 3D technology assets from MicroVision Optical. Marchon also signed a global licensing agreement with RealD Inc., the leading provider of 3D technology for cinema, consumer electronics and professional applications, to use the RealD brand for sales of Marchon3D™eyewear. Through the terms of the global licensing agreement, Marchon3D™ will distribute its RealD certified 3D glasses in cinemas, retail locations, e-commerce sites and through electronic equipment manufacturers worldwide."" 3D specs have come a long way from the disposable cheapos from the 1950s, but they’re still not quite fashionista-friendly. Apparently there’s a need for 3D eye wear with more panache — at least according to companies like Oakley and Gucci, both of whom are introducing designer glasses that you’ll presumably not feel embarrassed wearing. Oakley plans to release a whole line that features “the first 3D eyewear on Earth with optically correct lenses.” (I assume elsewhere in the universe they’ve already been created.) This involves expanding the peripheral viewing angle of the wearer, as well as offering “truer alignment of 3D images” (whatever that is). It also relies on passive polarization rather than the active-shutter technology on which many current 3D HDTVs rely. That means they’ll work for movies shown in 3D at theaters, but you’ll need to find a compatible set to use them at home. Oakley says it’s partnering with home theater companies that will provide passive 3D-based products. 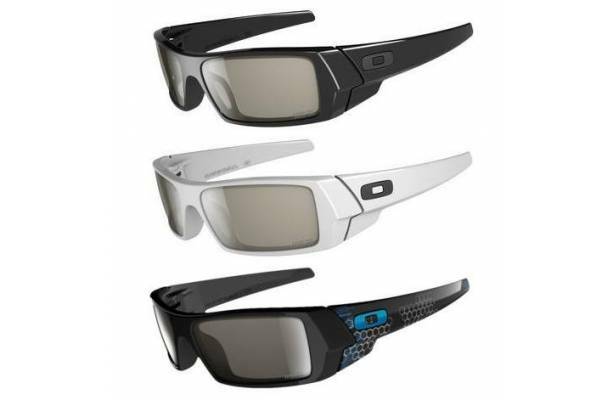 The Oakley specs will be rolled out soon through specialty eye wear stores, and will be more widely available in 2011. Pricing has only been announced for a special set of Tron: Legacy glasses, which will sell for $150. Luxury fashion force Gucci is also selecting the passive-polarized route for its 3D glasses (pictured above), which, like the Oakley’s, have a long list of technical advancements that doth protest too much — e.g., “optically correct 6-base curved lenses with circular polarized technology.” One important feature is the ability to look into a mirror with the glasses on and not see a distorted image — important presumably because Gucci buyers are doing a lot of mirror-gazing. Gucci’s glasses will be available next month at its boutiques for a cool $225. While no one would feel particularly stylish with the current roster of 3D glasses being donned in cinemas and living rooms, is there really a market for designer versions when you’re not even wearing them outside? I guess the market will decide that, but I have a feeling 99.9 percent of viewers will stick with the standard-issue glasses when and if they watch 3D video.